Like us on Facebook for sales and other information. 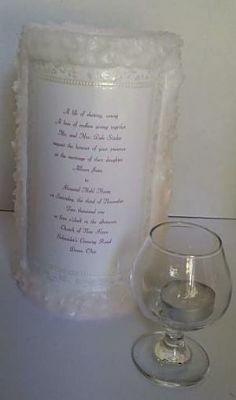 This has a candle inside a hollow candle and glows to show your invitation. We have been making this candle for over 40 years. This was originally designed by "Der Candlemaker" Ferrell Knotts. we also can custom size it between 10" and 12" depending on the size of the invitation. You can email us your invitation at apps@roadrunner.com or you can mail it to us. or picture of bride and groom with parents on the candle. Buy 2 and Save 20% - 9" tall - for $63.98 plus S&H. Buy 3 and save 25% - 9" tall - for $89.98 plusS&H. SO you save on shipping too! 1. We can only attach the thickness of a single sheet of card stock paper. If your invitation is multiple layers or thick please send a color copy on card stock. Please remember if you request original invitation instead of a copy the thickness of the invitation will be a factor in how much light shows through the invitation. 2. Size of the invitation. 3. Remember that if you would like to have two sides put on they can not be wider 5 ½” wide. Looking for just the unity wick™. 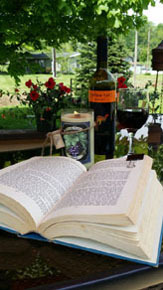 If you have a unity candle that has a tea light insert you can use our special wick for only $9.99 free shipping. 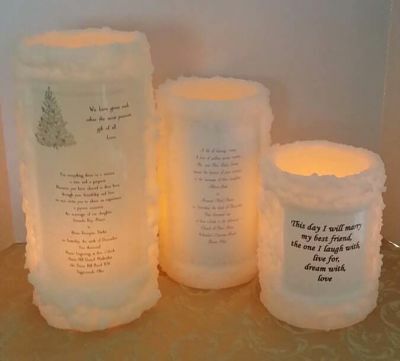 We are a custom candle company. All of our candles are hand poured and made just for you. Because they are hand poured heights may differ. If you have an idea for a special occasion candle, let us know and we will do our best to make your candle with your design. Have your candle in your favorite color and scent. Made with Beeswax and soy wax for great burning candle. Our candles will appeal to all your senses. The romantic glow of the candle and the wonderful aroma. made with our special formula of wax that looks like whipped wax, but much harder. Our candles will appeal to all your senses. The romantic glow of the candle, the wonderful aroma and then the warm oil on your skin. If you are needing a large quanity of candles for a special occassion, please allow 1 week plus shipping time for every 100 candles you need. Except for the 5" x 5" and 6" x 6" square candles, we only make 12 to 15 of these candles a week, because of the setup time involved. Large Custom Orders are ALL SALES FINAL. Please remember colors can not be guaranteed to be same shade(about 15 to 30 the same color depending on size). We are constantly adding wax to our melting vats and the colors change. If you have a certain color to match your wedding please send a color sample and we will try to match it. We DO NOT Issue any refund or credit for color. We offer money back if you do not like your candle. Shipping and Handling is not refundable. Also if item is personalized must be approved before returning. All custom orders require a non refundable deposit. Ferrell Knotts "Candlemaker", was our father and he created this candle over 30 years ago. 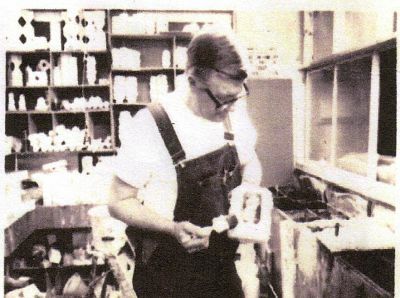 Many people who visited our store in Walnut Creek, Ohio, still remember him and the candles he made for them. We are now making candles for their children's weddings. I still have mine from 1974 so you can see this is a keepsake. 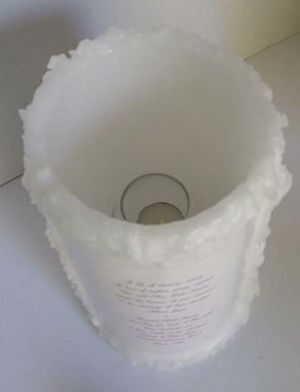 It is a hollow candle with your invitation on it. The invitation becomes a part of the candle and a wick which is two wicks that burn into one flame. Need a Unique Fundraiser for your church, school or organization? 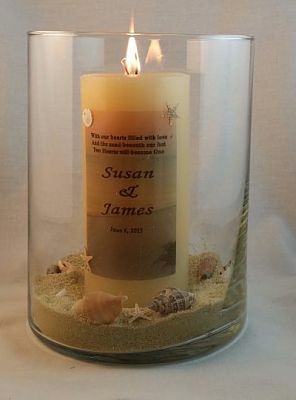 We can personalize candles for you. We now accept visa, mastercard, discover card, and paypal. Shipping is estimated on checking out, we will refund the difference if you pay more than the actual shipping. We are changing our shopping cart, if you have a problem please email us and let us know. Thank you. "Always Professional & Personal Service"